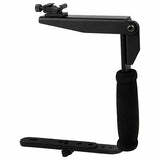 The Aputure Pro-Grade Off-Camera Hot-Shoe Flash Cable is an extremely useful accessory for Pentax digital SLR cameras, allowing an external flash to be used away from the camera. The flash can be located as far as 4 feet away from the camera and still perform all the automatic functions possible with flash photography. The Aputure TTL Cable allows for full dedication between the camera and flash. 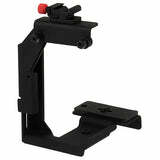 It also permits easy use of the flash when the camera is mounted upon a bracket. Manufacturer Aputure Imaging Industries Co. Ltd.